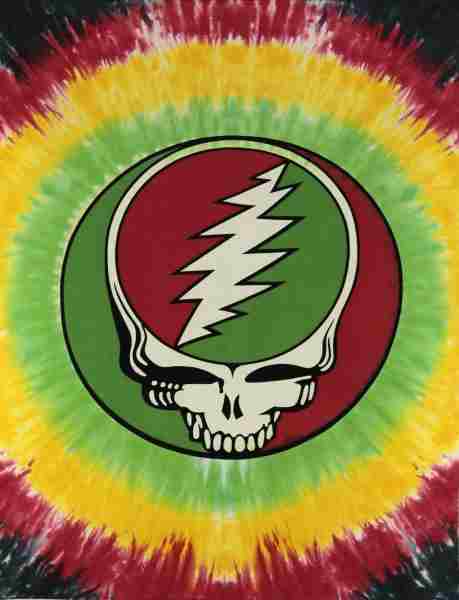 This miniature Grateful Dead tapestry is approximate 30" x 45" and has the Steal Your Face design in rasta colors. You can use this tapestry as wall hanging in your home, the office, or in a dorm room. Especially useful for those who adore our large tapestries but just don't have the wall space. Officially licensed Grateful Dead merchandise.